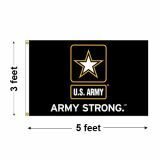 Flying a US Army Flag is a great way to show your support and to honor the brave soldiers, men and women, we send to overseas to fight. 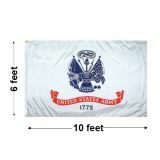 No matter whether you are a veteran, a serving soldier, or the family of military personnel, these finely crafted army flags are just right to show your American pride. 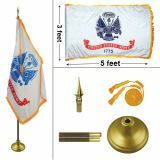 Need Army flags? 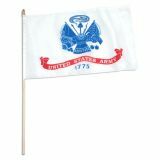 Choose from a range of army flags in a range of sizes and models including traditional Army flags to retired Army flags, Army Engineer flags and Army National Guard flags and more from our collection. 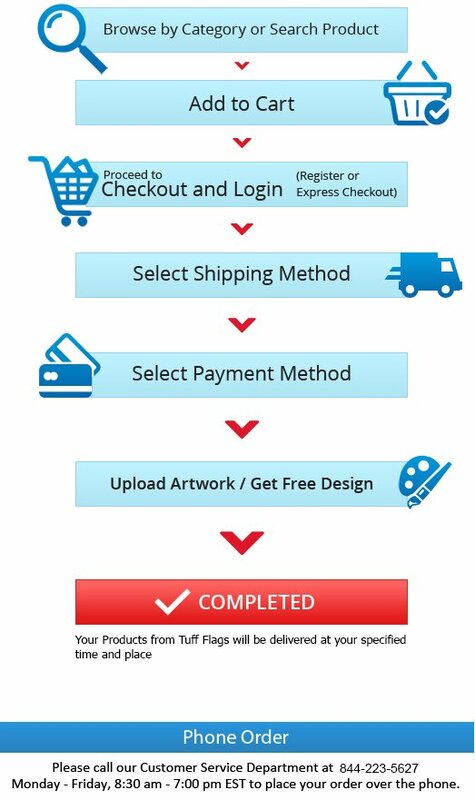 Shop right away and take advantage of our best prices, quick shipping and much more! 100% customer satisfaction guaranteed! 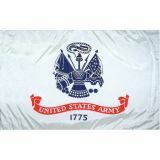 The official US Army flag that dates back to 1956 is made of white, with a blue replica of the official seal of the War Department. 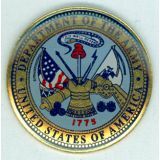 Beneath the seal is a scarlet scroll with the words, "United States Army" in white letters and the year 1775, when the Army was created for the first time. 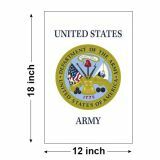 Show your army pride with our finely created army flags that are available in various types including US Army outdoor flags, Army indoor flags, Army National Guard garden flags, US Army parade flags, grave markers and lapel pins among others. 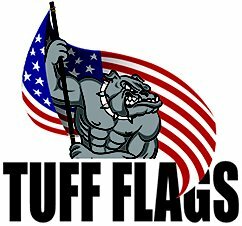 Made in fine quality nylon, our flags are designed to look great and last long. These flags are produced with UV resistant Dupont inks and reinforced stitching that will make it last long even in high wind conditions. 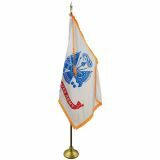 Fly US army flags during Veterans Day and other commemorative events and showcase the national pride and your support to the army. Browse our collection of US Army flags and shop at your pace or should you find it a bit overwhelming, call us at our toll free number (888) 287-3524 or email at customercare@tuffflags.com and we are happy to be of assistance.